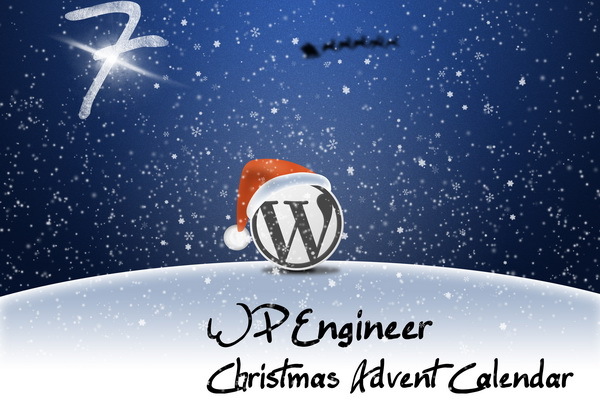 One of the main reason why WordPress is so popular is the amount of available Plugins. Most users using Plugins via the most popular way - in the folder plugins under wp-content, and activate them in the backend of WordPress. For other possibilities of plugin integration WordPress 3.0 try to provide a more user friendly way. WordPress allows using a function, to simple redirect to a URL, the function wp_redirect() enables to specify an address and a status. This makes it easy to realize a forward even in the backend of WordPress. Two different examples will illustrate this. The difference lies in the query of the URL, which will be checked. In contrast to the visual editor in WordPress, you can not disable the HTML editor. WordPress does not provide a user setting or a global option. Also, there is no hook, to disable the HTML tab above the editor when writing posts or pages. But there are users who do not need this tab and like to deactivate it globally. Therefore, I have a solution, how you can disable it in your editor. Alternatively, you can use the Plugin Adminimize, which offers such a possibility per role, just put it in the settings. In all versions of WordPress, there is the possibility to view all settings within the admin area of WordPress, but a menu link doesn't exist. 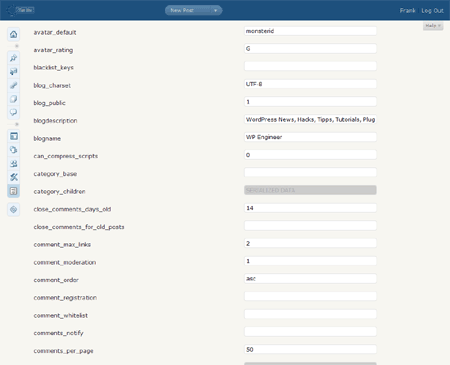 The page options.php enables to have a quick look at various options and also allows you to save settings. However, it must be said, WordPress stores more data in serialized form, which also is a good thing, but those you can no longer edit on this page. Nonetheless, certainly worth a look and now and then a help to quickly look into the settings of the blog. Alternatively, the plugin WP Developer Assistant can help here, because it also allows a glimpse into the serialized data. Alternatively you can also add a menu link. Add the following snippet in to the functions.php of your theme or create a Plugin. 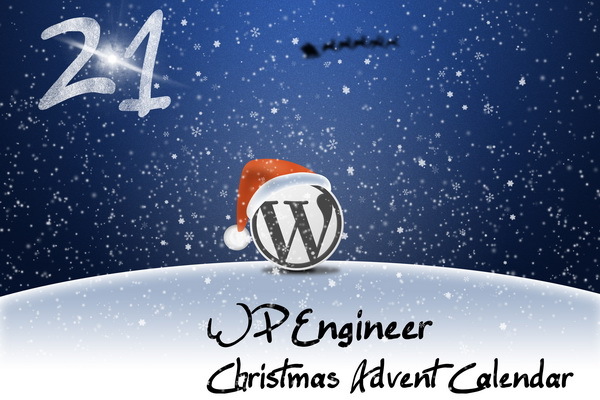 Check out our 7th door of our Advent Calendar. WordPress Trash will have it's premiere in version 2.9. Now you can move every content, comment, post, pages, media and link to trash. It's quite the same function as you know from other online applications or operating systems. WordPress 2.8 Widgets Options Page – First Screenshot!